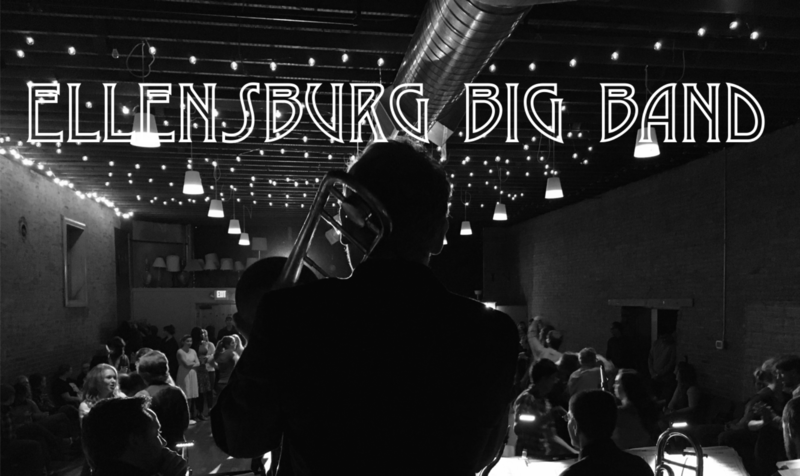 The Ellensburg Big Band is an 18 member classic Swing Jazz Band in the tradition of the wonderful dance bands of the 1940’s and 50’s. Our mission is to provide great live big band music for the entertainment, education, and enjoyment of our community. The Ellensburg Big Band started as a dream and became a dream come true. The few remaining original members who started the group for fun in 2011 would have never in their wildest imaginations anticipated what this band would become. Eighteen musicians centered in Ellensburg Washington, but traveling from all over the state to rehearse and perform, have created a genuinely professional sound energized by a rare camaraderie and the sheer joy of making good music with good friends. The majority of the current band are alums of one of the most outstanding college Jazz programs in the country, Central Washington University. Initially playing for any charity event that would have us, EBB now receives more requests to perform than we can possibly handle. The band plays all over the state and even traveled to Japan by invitation in 2014. Our favorite gigs are live swing dances and we have a blast connecting with the swing dancers throughout the region.